The gas boiler systems heat central heating radiators in similar ways. 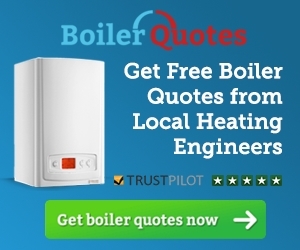 The main differences are the water pressure that the gas boiler operates at and the way hot water is provided. 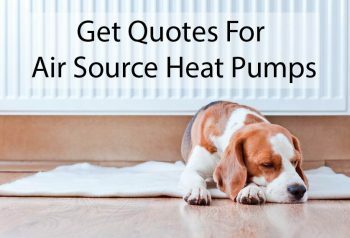 Historically, a gravity system was the main type installed in the UK but for new heating installations this has now been completely replaced by either combination boiler systems, high pressure systems or more recently air source heat pump (Read more about Air Source Heat Pumps). Often referred to as a ‘combi boiler’ this type of installation heats hot water as you need it, without the need for a hot water storage tank. So in places where space and hot water requirements are limited, such as flats, these can be very popular systems. The system uses mains water pressure, so there are no overflow tanks. The major downside is the flow of hot water is slower than systems that provide stored hot water – most systems will struggle to cope with houses with two bathrooms. To have a reasonable level of hot water flow the boiler output has to be in a range of 25-30kW rather than 15-20kW for a system with a hot water storage tank. If you are thinking of using solar water heating in the future then another downside is that these systems are not suitable for use with a combi boiler as they need a hot water cylinder. Read more in our solar panels cost article. See Combination Gas Boilers for a list of current popular combi boilers with typical consumer prices. Historically a gravity fed central heating system was the most common system installed in UK housing. They are less common now as combi and high pressure systems are both superior when a complete new system is being installed. 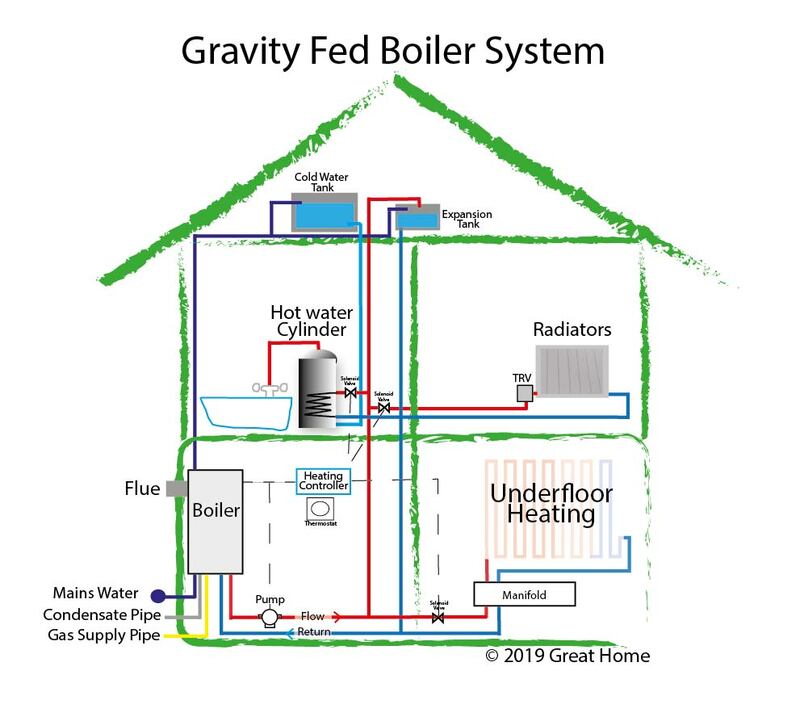 Many older homes have existing gravity fed systems, so it may be more cost effective to upgrade the existing gravity fed system with a new more efficient boiler rather than go to the expense of a complete new system. Some manufacturers call gas boilers for a gravity system “open vent boilers”, “heat only boilers”, “conventional boilers” or “regular boilers”. Most system boilers can also be used with a gravity system. 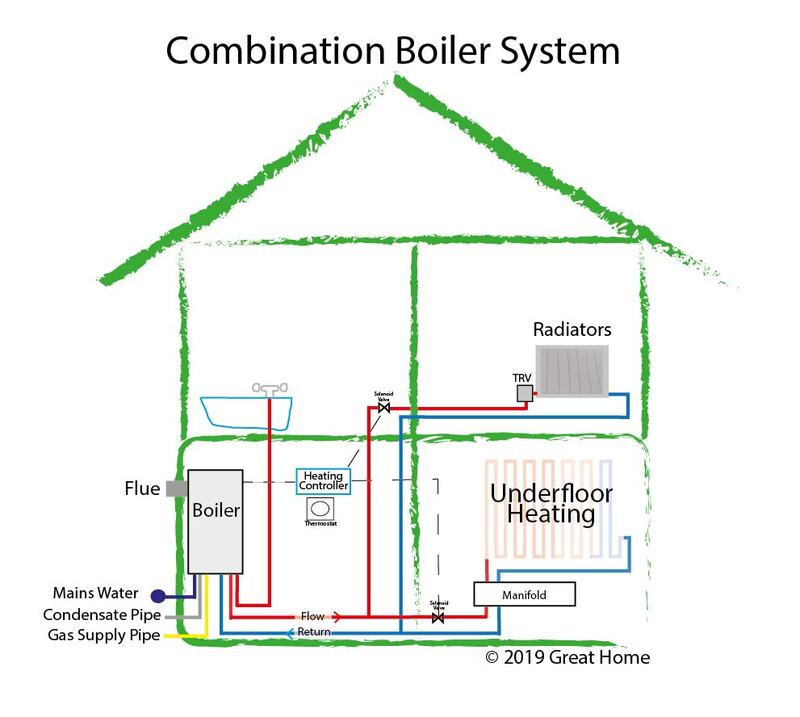 A system boiler has additional built in components such as a pump which makes installation easier than for a heat only boiler. The water pressure for hot and cold taps can be quite poor, as the flow depends on gravity. In flats, where there is no opportunity to put the water tanks in a loft, shower water pressure can be poor unless a shower pump is used. The extra requirement for a cold water storage tank and an expansion tanks. These tanks were often installed in lofts where they become vulnerable to frost damage resulting in water leaks. If the heating system is very old then a condensate pipe, new flue and new gas supply pipe may be required at additional cost. Also in houses the upper and lower floors should be treated as different heating zones and will require a better controller. This can be equally true for older combi and high pressure boilers although they have not been around on the market as long. 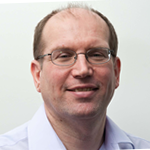 This type of system operates at mains water pressure and uses a stored hot water system. So if it is lashings of hot water at a forceful pressure you are looking for then this is the system for you. 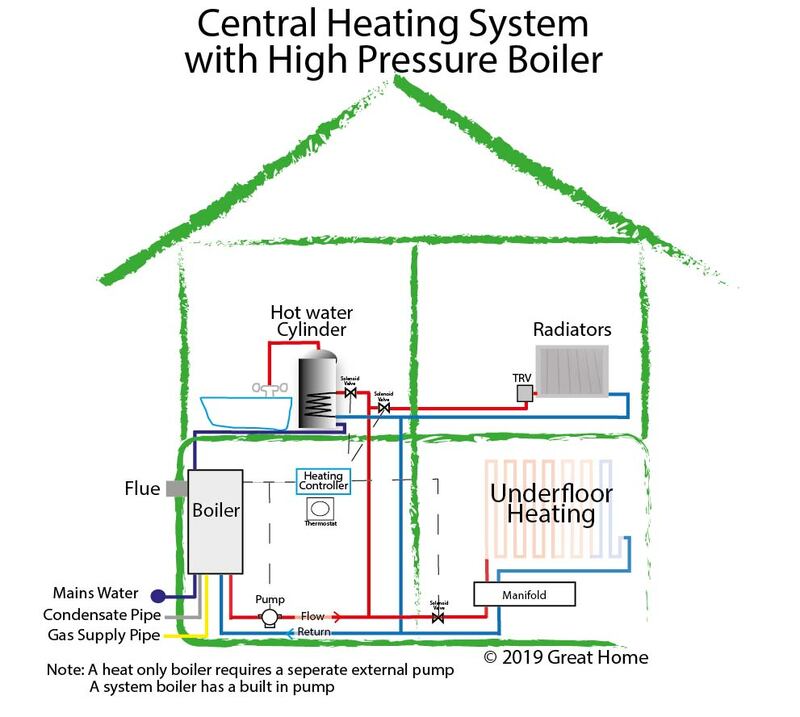 The main downside is that these high performance systems tend to be more expensive than the combi systems as you have the additional expense of a hot water tank. They also tend to require a higher skill level amongst installers, although as these systems become more common this is less of an issue. Some manufacturers call boilers for a high pressure system with a tank “system boilers” although some heat only boilers can also be used if additional external components such as pumps are added. I have a traditional heating system with a cold water tank in the loft and a hot water tank and I am thinking about upgrading this to combi-boiller. What do I need to know when thinking about this.